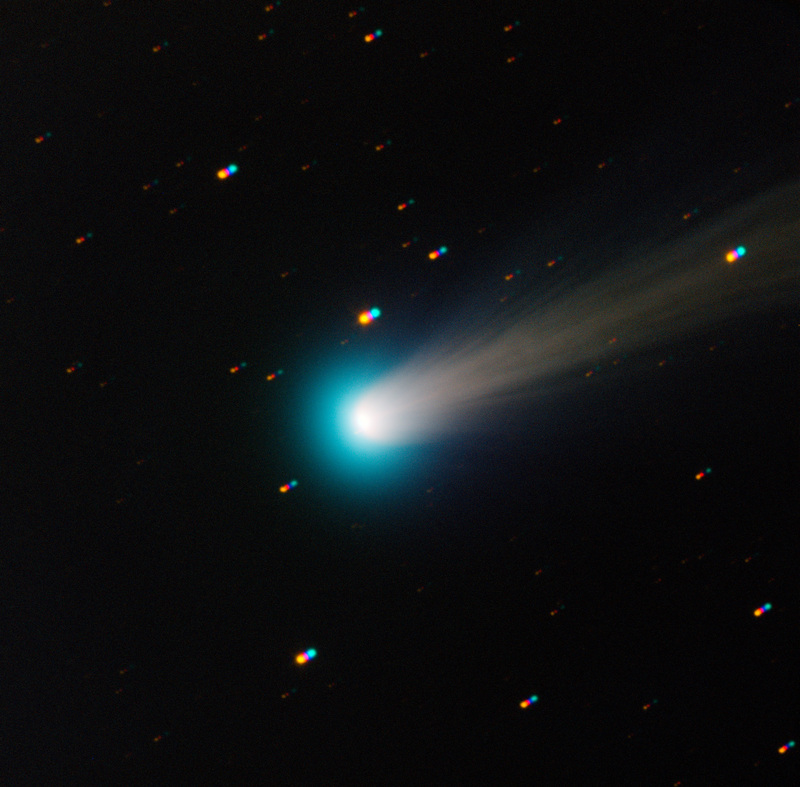 Rumours are popping up around comet C/2012 S1 faster than astrophysicists can squash them. No, there are no alien aircraft accompanying the comet known to the public as ISON; no, electric discharges didn’t link it and Mars when it flew by the red planet in October (the cameras of Rovers Opportunity and Curiosity didn’t even spot it); and no, sadly it will not be as bright as the moon. In fact, here in Colombo we are unlikely to be able to see it with the naked eye before perihelion on November 28 when ISON will risk utter destruction in its closest brush with the Sun, says astrophysicist Dr. Kavan Ratnatunga, who worked with NASA’s Hubble space telescope for many years. This will be ISON’s first and perhaps only chance to bask in the relative warmth of the Solar System. An acronym for the International Scientific Optical Network, it is named for the array of telescopes two amateur Russian astronomers used to locate it. Our ‘sun-grazing’ visitor is believed to hail from Oort Cloud, a field of trillions of comet nuclei lying about 50,000 AU from the Sun. Consider that 1 AU =150 million km, and you’ll see ISON is the hardiest of travellers. Scientists are excited not just about what the comet can tell us about conditions in that unimaginably dark and distant zone at the edges of the Sun’s influence but what we can learn about Earth’s history. “Basically all the water we find in the ocean came from bombardment of earth by comets. This is the primeval soup which is now preserved in comets,” says Dr. Ratnatunga, adding that scientists will be studying the comet’s composition for clues. While this is the comet’s first tour of our solar system, there is the possibility that it might become one of the 200 odd comets trapped into orbits that bring them back…but this can only happen if it survives November. Comet ISON is speeding up as it gets nearer the Sun, it is expected to close the distance until it is a mere (in astronomical terms) 1.2 million km from the incandescent surface. Blazing through the Sun’s outer atmosphere, the comet’s surface temperature may exceed that of molten iron (1538 °C). ISON’s nucleus, like that of other comets, is dirty snowball made of rock and ice. The heat of the sun is bringing its frigid surface to life, warming the nucleus and melting the surface. These vaporized particles and gases form the large but thin halo called the coma around the comet’s nucleus. As it draws closer to the sun it will also develop ever longer tails of gas and dust, which are blown away from the Sun by the solar wind. (In June NASA’s Spitzer satellite pegged ISON’s tail at over 186,000 miles — a light second — long.) Now, there’s a real chance it may fall apart (and no, we won’t see any bits fall burning through our atmosphere). If, and it’s a big if, the comet survives this close encounter, it is likely to be something you can spot in the early morning in early December, says Dr. Ratnatunga. Come January it will be pulling away and out of sight. Balancing out the hype in the media, NASA’s Comet ISON Observation Campaign (CIOC) challenged the idea of ISON being the brightest comet we’ll see in this century. ‘More likely, ISON will be one of the brightest comets in the past several years and, thanks to the global astronomy community, we hope one of the most broadly observed comets in history!’ researchers wrote in an update. Those hoping to see it from Sri Lanka must have two elements in place — dark skies and no clouds, says Dr. Ratnatunga, explaining that haze from city lights or rainy weather would make the comet impossible to spot. He has been in touch with the Arthur C. Clarke Centre in Sri Lanka, who at the time of writing had not yet observed the comet from Colombo, though amateur astronomers in Polonnaruwa have claimed to have seen it. “Whether it’s going to be something spectacular to see with the naked eye is really unknown,” says Dr. Ratnatunga, explaining that while this is currently the brightest, comets are visible every day of the year, even if they are very dim. Whether the comet flares into brilliance or not, it’s worth remembering that this is one of nature’s most extraordinary introductions — an ancient traveller lured away from the cold expanse of the outer Solar System to leave its solitary trail across our night skies in an all too brief yet quite literally, enlightening visit. Published in the Sunday Times, Sri Lanka on 24 November, 2013. Words by Smriti Daniel.